30 Grand Street, Ground Floor, NYC. A group show also featuring: 108, 36RECYCLAB, Alexandros Vasmoulakis, Eelus, Gérard Zlotykamien, Herakut, Jazi, Jaybo, Jean Faucheur, John Fekner et Don Leicht, Kofie, Lady Pink, L’ATLAS, Marco Pho Grassi, Nick Walker, Thomas Fiebig, TRYONE, Victor Ash. Refuge is the forced necessity of societies in collapse. It begins with people in motion, moving away from circumstances that are barren or perilous, that are unable to sustain their life or are actively seeking to end it. Refuge carries with it the transience of being in between one home and another; it is a liminal space, its structures are built to be packed away with ease; it momentarily rebuilds community while acknowledging the fragility of its permanence. 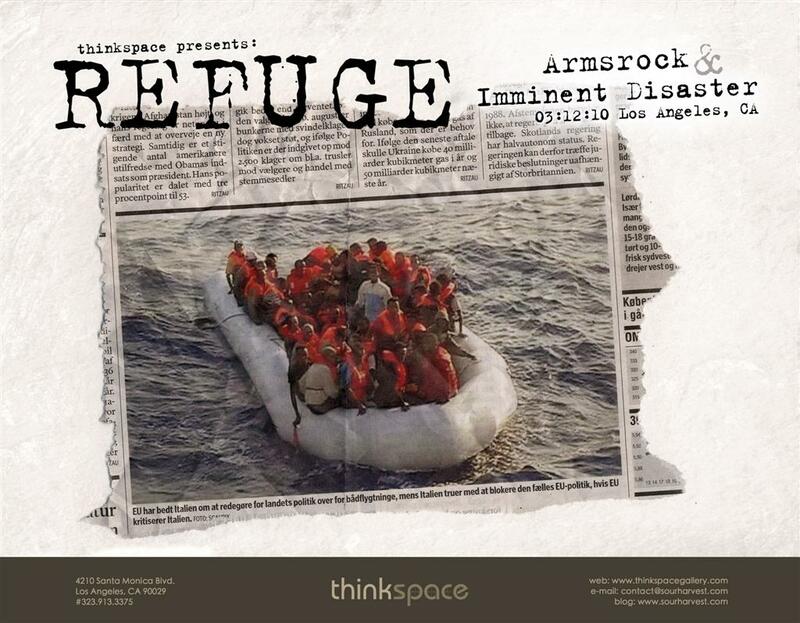 This idea of Refuge grounded in the local presence of Tent Cities in Southern California will be the basis of the upcoming collaborative installation between Armsrock and Imminent Disaster.